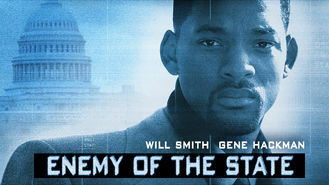 Looking to watch Enemy of the State tonight from Australia? Hotshot lawyer Robert Dean becomes a victim of high-tech identity theft when a hacker slips an incriminating video into his pocket. Soon, a rogue National Security agent sets out to recover the tape and destroy Dean.